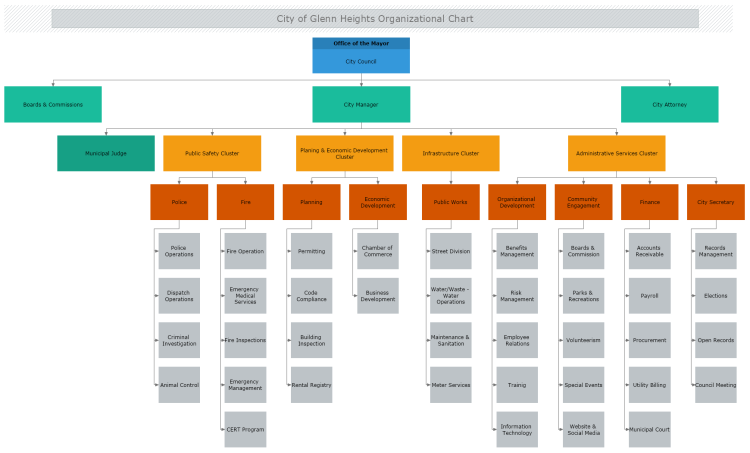 This templates represents the organizational chart of the city of Glenn Height. The chart consists of all the positions within the administration structure of the city, arranged in a hierarchical manner, based on their responsibilities and working relations to the rest of the employees in this structure. Download this free example and edit it to meet your personal requirements and needs.